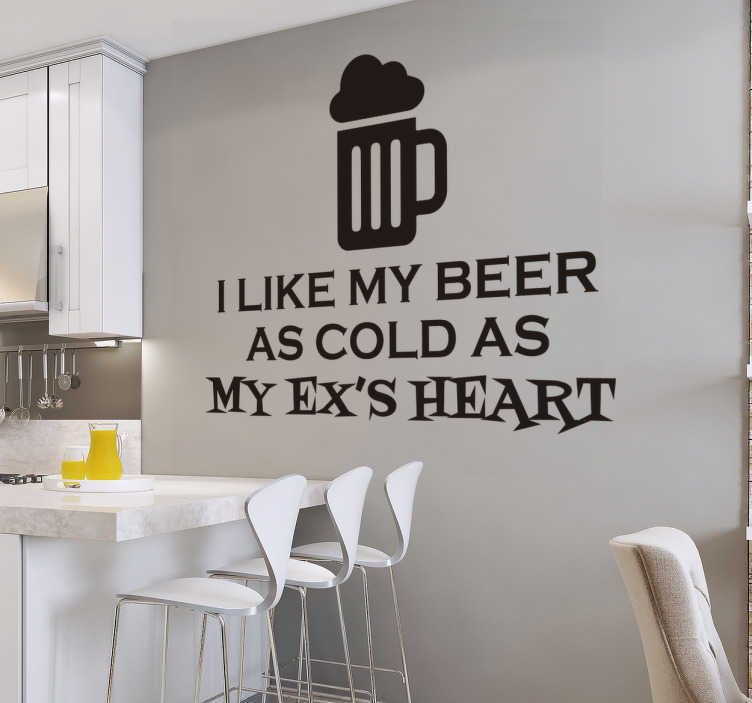 Beer Wall Sticker. Sometimes break ups can be very messy. Decorate your home, office or business to commemorate such a momentous occasion in your life. And what better way to do it than with this funny wall sticker. The text consists of "I like my beer as cold as my ex's heart" with an image of an ice cold beer above. This sticker would be perfect in decorating a pub/bar making customers laugh and thus creating a pleasant atmosphere.